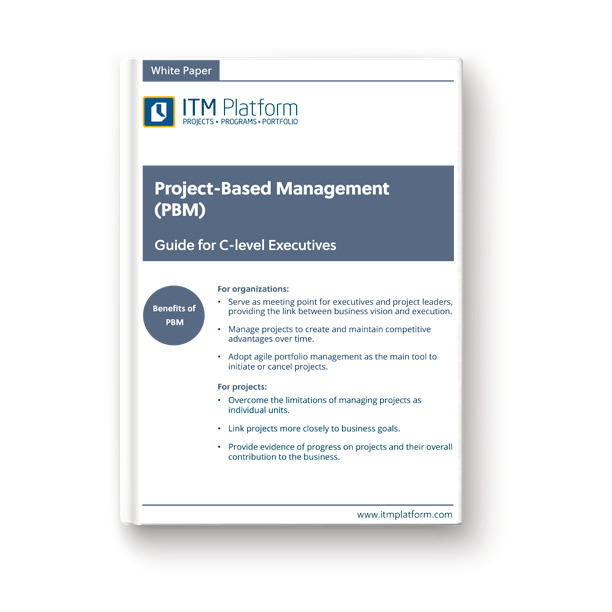 This White Paper presents Project-based Management, a set of best practices that allow C-level executives to manage their project portfolio and apply their company’s strategic plan. Project-based Management provides a real-time, comprehensive vision of all activities conducted in an organization. As such, it supports C-level executives, but also PMO officers, program, portfolio and project managers that wish to develop their careers in a business-oriented path.